With more than $58 billion invested in startups across the U.S., 2015 was the second highest year for venture capital funding in the last 20 years. But, based on a study conducted by CB Insights, it is likely only 1 percent ($580 million) found its way to minority business enterprises (MBE). That is the startling disparity that Maria Contreras-Sweet, head of the U.S. Small Business Administration (SBA), pointed out in her recent “Sate of Entrepreneurship” address as reported in Fortune Magazine. 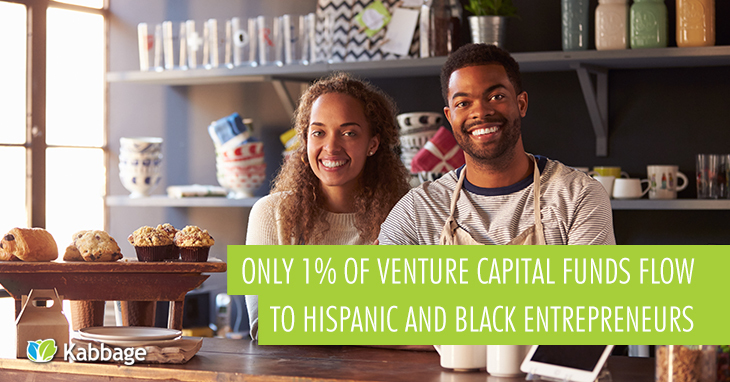 Although the data is five years old, there is little to indicate that the venture funding gap between white-owned businesses and minority-owned businesses has narrowed much. However, Fortune reports that under Contreras-Sweet’s leadership at the SBA, loans made to minority businesses have increased 36 percent. However, for aspiring minority entrepreneurs, access to the kind of capital needed to launch the next Google or Microsoft is still elusive. Since the study, efforts have been made by government agencies, corporations and the venture capital industry to rectify the disparity. Yet there are several inherent barriers that must be overcome by both the venture capital industry and MBEs. At its core, the venture capital industry is a source of early-stage financing for startup companies for which it is willing to assume a high degree of risk for the potential of a high return on investment. VCs take calculated risks, but they also know how to mitigate certain risks, weighing the potential downside of an investment against the prospects for success. With only 1 percent of their investment directed at MBEs, it raises an important question as to whether VCs might consider them to be higher risk, or lower return investments – and why, as well as how those perceptions can be rectified. When VCs do invest in MBEs, they put up far less capital, on average, than they do for white-owned businesses. According to the CB Insights report, the median seed and Series A funding received by MBEs was $1.3 million versus $2.2 million for white-owned businesses. Could a case be made for VC bias against MBEs, or are there other, more systemic factors at play? William Bradford is the former dean and an endowed professor of business and economic development at the University of Washington Business School. He believes that certain biases may exist, but that it is not necessarily due to any perceptions the VCs might have of MBEs. Rather, he believes they are under-funded because they don’t have the same level of access white-owned businesses have. The VC world is built on networks of investors, financiers and other powerful business interests he has described as an “old-boy” network; and, if you are not connected to the right people in the network, you won’t get access. Conversely, he suggests that MBEs who are looking for funding don’t always know where to look because they don’t share the same networks as white entrepreneurs. There’s another bias that gets in the way of VCs and MBEs finding each other, which is that many MBEs are not found in Silicon Valley or any of the other tech centers where VCs concentrate. Many MBEs aren’t considered high tech and they may be located in rural or urban areas not associated with high-tech industries. Recent initiatives by corporations, business organizations and the venture capital community indicate growing recognition of the disparity in access to capital as well as a strong desire to close the gap. Companies and business organizations are collaborating in a concerted effort to raise awareness of the issue and institute programs to advance diversity in the workplace and in the C-level suites. Much of the work must take place within the minority community to educate budding entrepreneurs on how the venture capital world works. Several companies are putting their money where their mouths are by creating funding pools directed at MBEs. Intel is leading the charge through its capital venture arm by setting up a VC fund of $125 million for investment in MBEs and women-owned businesses over the next five years. It has already announced four ventures it will fund this year. Other companies have announced programs to assist underfunded minorities by setting up funding pools or assisting them in finding funding sources. The issue has reached such critical mass that it has attracted the attention of the venture capital industry, which has launched an initiative to advance diversity within the industry. Forty-five VC firms, including some of the biggest names in the industry, have teamed with the National Venture Capital Associations’ (NVCA) Diversity Task Force to commit their resources to advancing opportunities of women and underrepresented minorities. Financially speaking, the efforts by Intel and other companies which are creating minority-focused funds are just a drop in a $58 billion bucket. But, it does bring much-needed attention to the issue. If VC firms are truly opportunistic, they can no longer ignore a critical sector of the business market which will one day soon be the majority in the U.S.